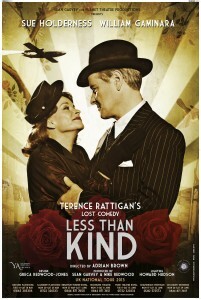 UNPERFORMED since Terence Rattigan wrote it in 1944, this is an interesting revival of his “lost” play Less Than Kind. Convincingly set in wartime London, Canadian steel magnate John Fletcher (superbly played by William Gaminara from BBC TV’s Silent Witness) is a wealthy industrialist and member of the Tory wartime cabinet. He lives with his lover Olivia Brown (stylishly performed by Sue Holderness from TV’s Only Fools And Horses) in relaxed comfort with maids and secretaries. However, Olivia’s teenage son Michael (a smoothly spiky portrayal by Charlie Hamblett) returns home from evacuation with a passionate left-wing philosophy and a deep hatred for everything that his mother’s lover stands for. Does his mother choose her lover or her son? With tenuous links to Shakespeare’s Hamlet – “less than kind” is a quote from that play’s opening – this is a thoughtprovoking drama mixed with romantic comedy. 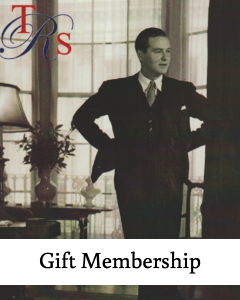 The stage set is a masterpiece of atmospheric detail, and the play’s themes are as relevant today as when Rattigan created the piece – a desire for a more equal society with “fair shares for all” and a secure welfare state, polarised by established privilege and selfcentredness. Less Than Kind runs until Saturday.